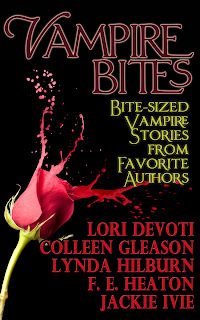 My author pal Lori Devoti put together an anthology of vampire tales. Check out stories from Lori, Jackie Ivey, Felicity Heaton, Colleen Gleason and me. It's free on Smashwords and BN now, and will be available on the other sites soon.